I HAVE FOUND MY VOICE!!! . . .Well, not MY voice, but that of the amazingly talented Kim Somers of Kim Somers Voice Overs. Yes, my dear men and women, yes. It took, what, a little over two months' worth of auditions, but I loved her ability to emote, by way of her voice, immediately upon first hearing her speak. 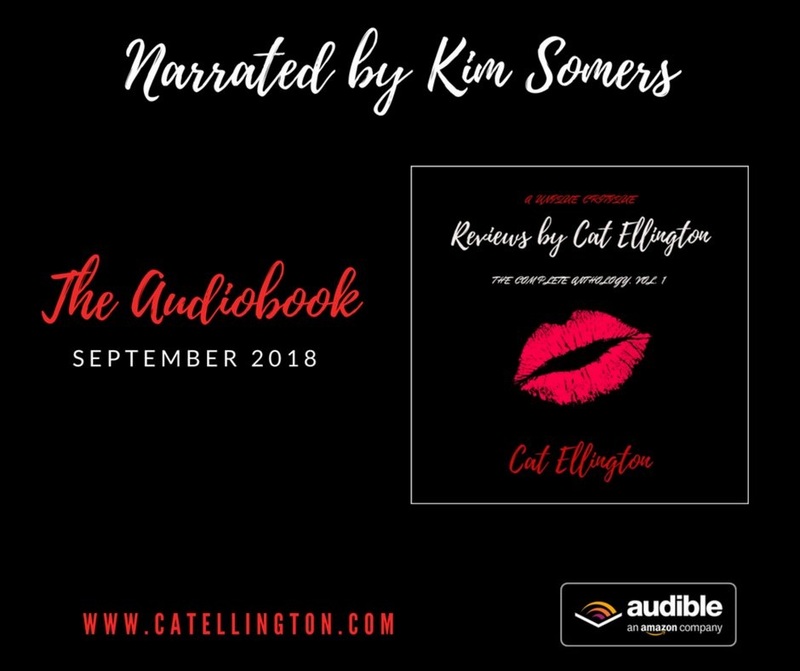 And I am giddy over the fact that hers is the voice that will perform the narration for the Audiobook edition of Reviews by Cat Ellington: The Complete Anthology, Vol. 1. With a reading voice reminiscent of my very own personality, my casting director loved Kim's audition right away. And hers became a top name on my list of finalists. Her diction is nothing short of superb, and I am tremendously proud of her. The Audiobook for Reviews by Cat Ellington: The Complete Anthology, Vol. 1 is now in the works. And on behalf of Quill Pen Ink Publishing, I would like to thank my producer Kim Somers, as well as the Audiobook Creation Exchange (ACX), Audible, Amazon, and SAG/AFTRA. This work of mine, what the work that I do in the Arts, is my passion upon my passion. And I am so excited to have finally reached this distinct stage. I have found the voice of my first Audiobook. And she is Kim Somers. Let's do it, Kim!